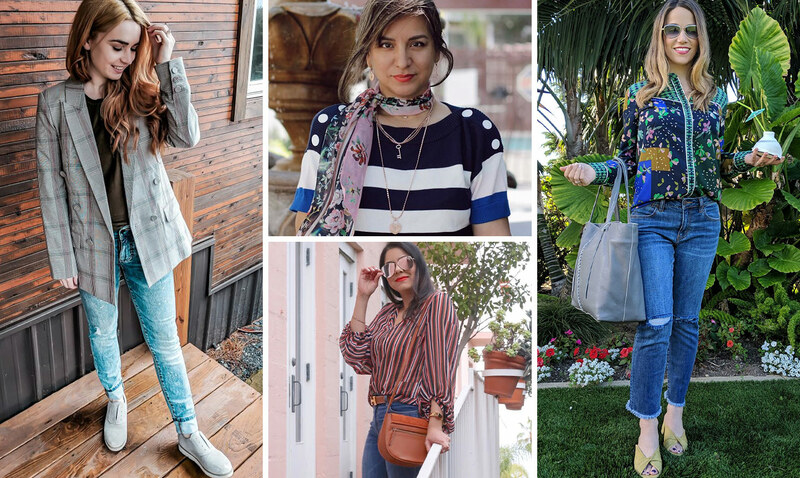 Last month, we had the pleasure of hosting our 3rd Blogger Day with eight fashion and lifestyle bloggers from around the country. 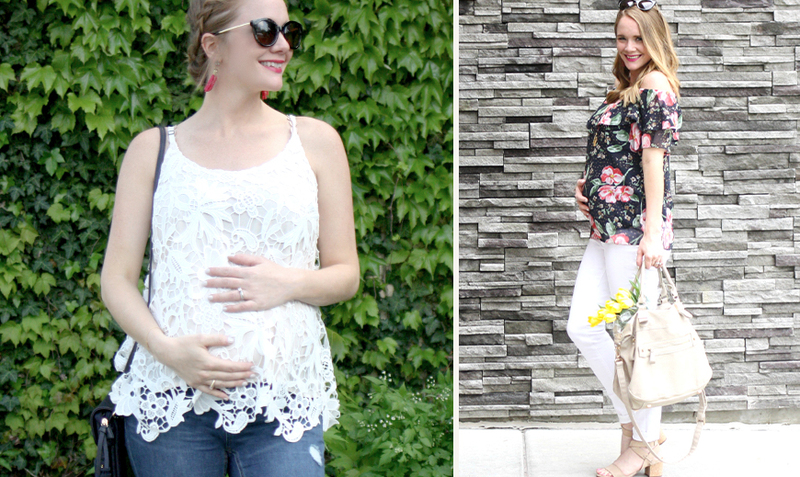 Get a behind-the-scenes look at the fun-filled day in the video below! 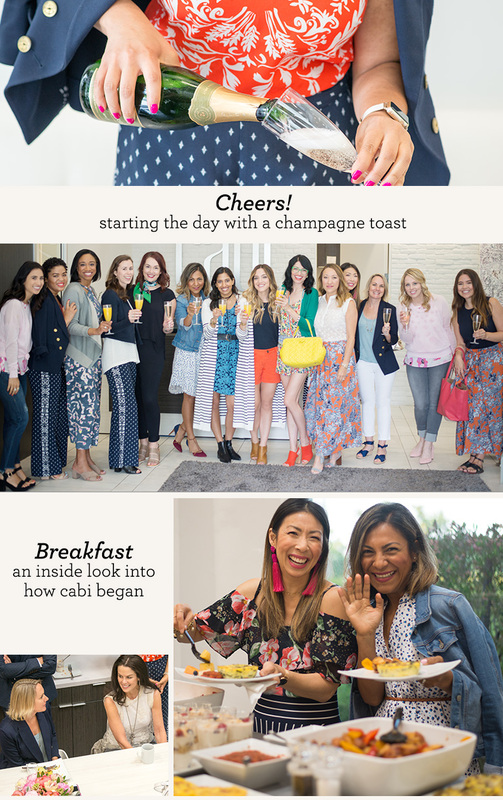 The ladies arrived at our LA-based cabi Home Office bright and early and were greeted with a champagne toast (complete with OJ for mimosas, of course!). After a few obligatory selfies, we kicked off our day with a family-style breakfast hosted by Katie Malone, our VP of Marketing & Events, and Kimberly Inskeep, cabi’s President & Chief Culture Officer, who gave our guests an inside look into how cabi began in a living room and evolved into the international brand it is today. From there, we joined the Design Team for a sneak peek of our Fall 2017 Collection. The ladies even got to see some of the mood boards that inspired the Collection—what a treat! Next, Executive Creative Director Daniele Trussardi gave the ladies a behind-the-scenes look at how our magazine, the Notion and Look Book come together (complete with insider secrets from our photo shoot in London!). 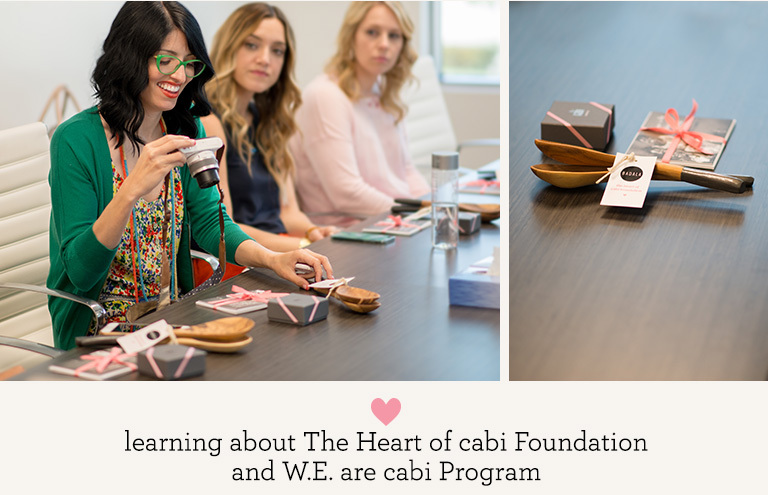 We had one final stop before lunch where Emily Sanders, our Director of Brand Messaging & Content Strategy, gave an overview of The Heart of cabi Foundation and W.E are cabi Program. What a fun-filled morning! By now our stomachs were grumbling and it was time for lunch. The table was set with a picture-perfect tablescape, adorned with the season’s favorite flower, pink peonies, and Jaipur-printed napkins to match. 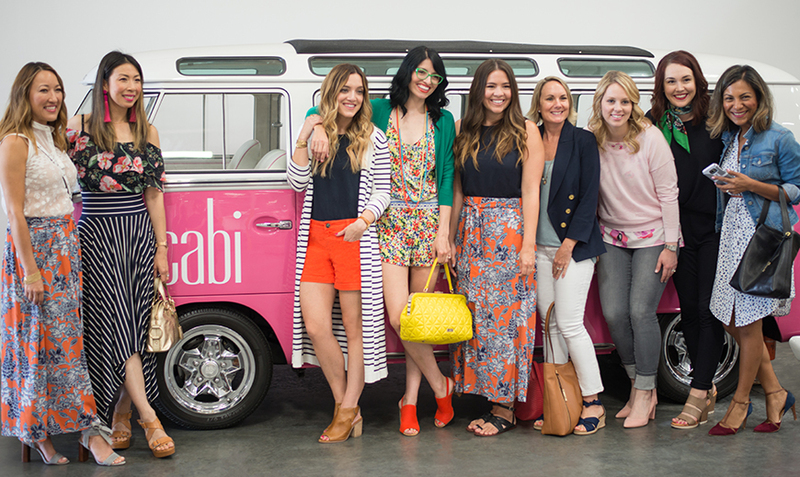 After filling our bellies with the delicious spread and swapping stories, the ladies were ready for a taste of the cabi Fashion Experience, but not before snapping a few silly photos in our photobooth. To end the day on a high note, the ladies had a personal styling session with our Fashion Director Becky Jantzen and a professional photo shoot with Daniele (#jealous).